Our world is changing, and with 82% of the population living in cities, how we design and build our cities should be changing too. At this point, we need drastic measures that reverse the effects of years of planetary neglect. The Living Building Challenge, developed by the International Living Future Institute, is a rigorous set of building, material and operations criteria that result in beautiful, contemporary net zero energy projects. Only five buildings worldwide have achieved certification so far, but over 190 additional projects are in some sort of design, building or operation phase. And Seattle is pioneering net zero energy in a new way. The city is already home to one certified Living Building (the Bertschi School science building), and the Bullitt Center is on track to becoming the largest net zero energy commercial building in the world. AIA Seattle recently hosted a four-part series called Getting To Zero, giving local architects, engineers and project managers to tools to create more innovative net zero energy buildings in the Pacific Northwest. Many investors see net zero energy projects as daunting because of the large price tag associated with the certification. 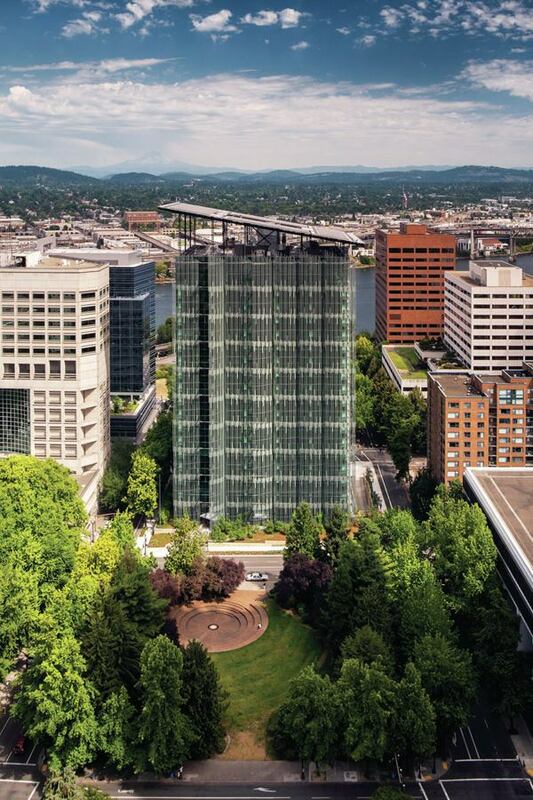 What they need to understand is that when the current definition of “long term” changes, everything changes with a Living Building: a traditional office building has an average 20 year lease, while Seattle’s Bullitt Center has a 250 year lease. Not only are monetary investments considered, but health benefits and community advantages as well. Patrick Brunner explains, “[We] have to give up the idea that the lowest price equals the maximum project.” The cost of a net zero energy building is largely front-loaded; after the building materials have been purchased and the building is operating as it should, that’s when the government grants, tax credits, and energy savings begin to reverse the initial intimidating investment. 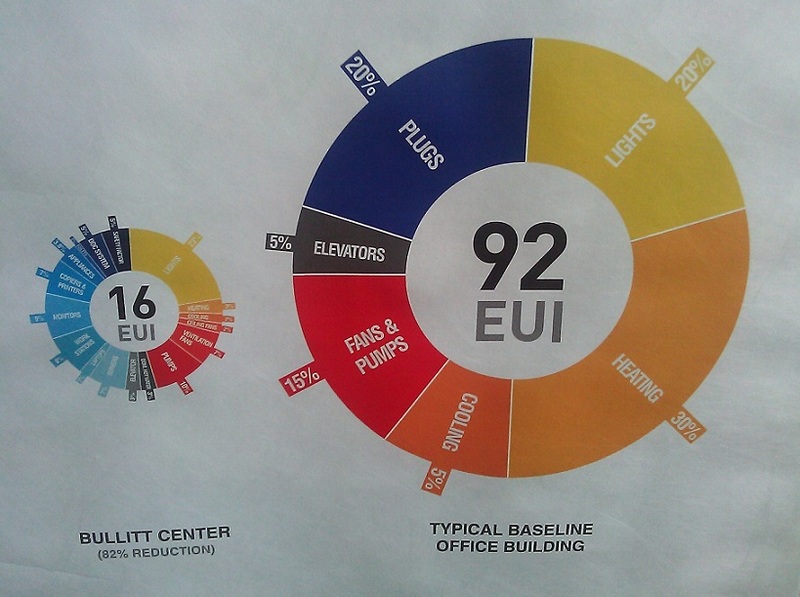 The Bullitt Center considers the community benefits by not providing parking, and offering tenants discounts on transit passes and rideshare programs. The environment that the building will inhabit is just as important as the building itself. Every city in the world has a unique set of natural resources at its disposal, and so every net zero energy building will use systems that take advantage of them. Seattle has ample rainfall, which the Bullitt Center utilizes with rainwater recovery systems for landscaping, and gray water for flushing toilets – a Living Building in Arizona wouldn’t be able to use the same systems with as much success. The site of the Bullitt Center is located on a hill that slopes up from Elliott Bay and the Pacific Ocean. Because it’s not located downtown and shaded by tall office buildings, the building has a photovoltaic array that actually extends out over Madison Street to make the best use of the city’s annual average of 152 sunny days (the US national average is just over 200 days per year). Net zero energy systems are like a regatta boat: if they’re not pulling their weight and working efficiently with the other systems, they’re keeping the building from achieving the end goal. 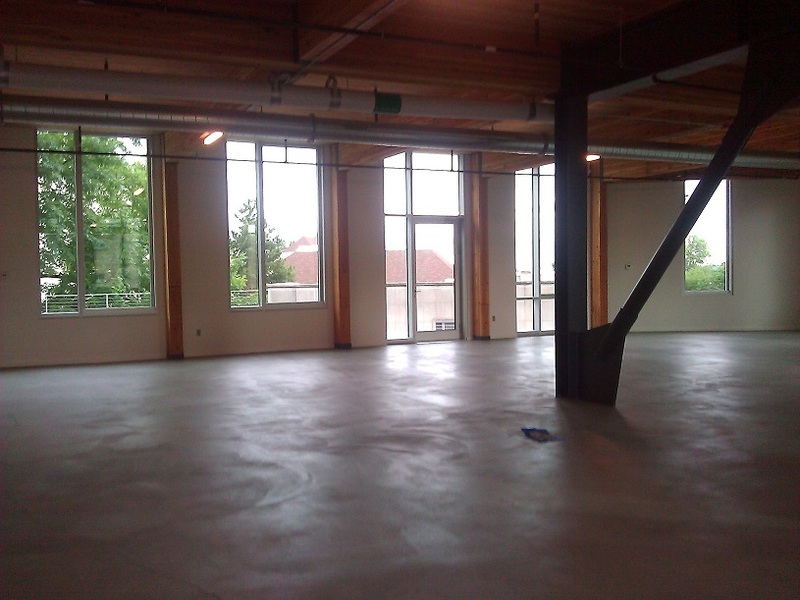 The Bullitt Center must be fully occupied before the energy commissioning can start. Rob Harmon, founder and CEO of EnergyRM, is entirely correct when he says that “there’s a lot of heartache and bloodshed involved with being this far ahead on the cutting edge of net zero.” But the good news is that it’s going to get a lot easier. 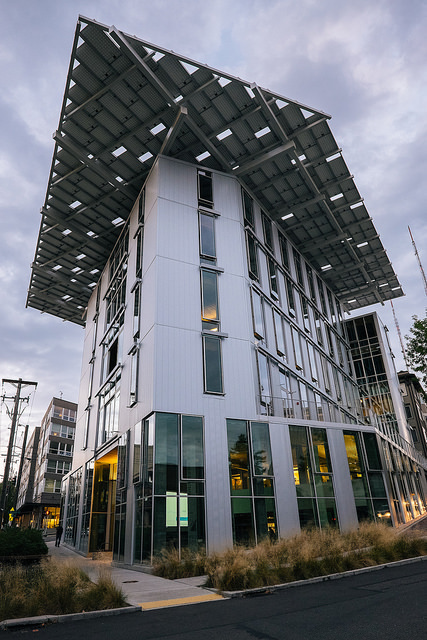 By pioneering the design and construction of a six story net zero energy commercial building, the Bullitt Center and the City of Seattle are figuring out together how to collaborate so everyone wins. 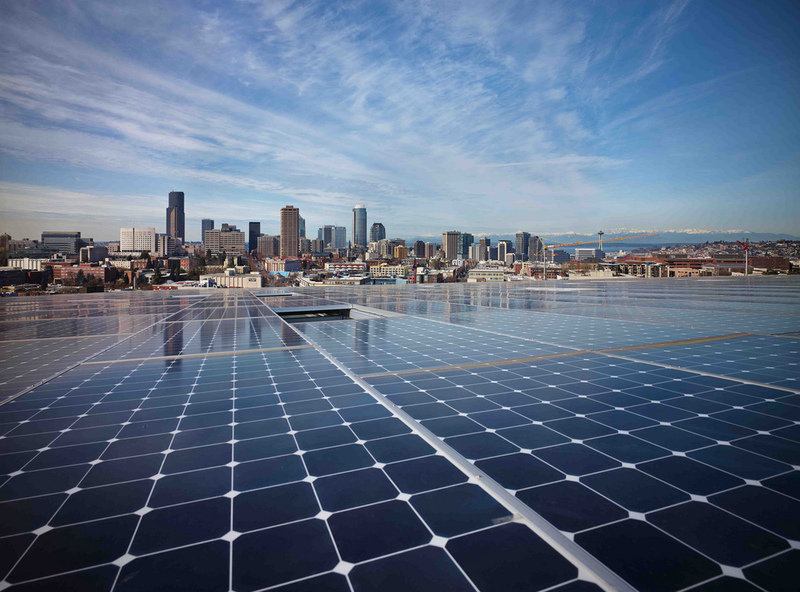 The Center uses the city power grid like a battery – taking energy in the darker months, and giving back energy surplus from its PV array in the brighter months – something that has never been explored before in Seattle. A delicate balance between landlord, tenants and city had to be achieved. But now that it’s been done, the Bullitt Center will prove that it’s possible and act as a working model for more Living Building projects, both in the Pacific Northwest and around the world. Net zero energy buildings will change how architects see aesthetics, how engineers will see energy modeling, how landlords see tenants, and how the community sees its future. This changes everything. Disclaimer: This article is part of the AIA Seattle’s series Getting To Zero that addresses the goal of making Seattle a net-zero energy city by the year 2030. This is the unedited piece that will appear on the AIA website in March 2015. This entry was posted in Expanding the Scope of Now, Exploring our World, The Seattle Scene and tagged AIA Seattle, Balfour Beatty Construction, buildings and structures, Bullitt Foundation, Denis Hayes, Edith Green-Wendell Wyatt, EnergyRM, International Living Future Institute, Living Building Challenge, net zero energy, PAE Engineering, science!, sustainability. Bookmark the permalink.